In short it means I’m the one or I’m the guy for the job. A huckleberry is a small round wild berry. There are several different kinds, some blue and some red. They taste similar to blueberries. What did the good doctor have to do with these berries? Okay now you’re thinking, “19th century people used slang? Get out of here.” Well they did and a particularly popular little phrase was huckleberry. It was particularly fashionable around the end of the 19th century. People used it as a compliment as a replacement for sweetness or darling. Or just to describe someone who was really the best. “A true huckleberry”. It was also used in some gambling circles. This is where Doc comes in. You could “bet a huckleberry to a persimmon” Which would mean to place a small bet. Where does Mark Twain come in to it? Huckleberry used in an article from 1880. Well as you’re probably aware, Mark Twain wrote The Adventures of Huckleberry Finn. It could be said that his book helped to maintain the Huckleberry craze. “But hold on,” you say. “This book was published in 1884. Isn’t it a bit late to be used in reference to Doc?” Well yes, you’re right, but remember this is the second book in a series. The first book, The Adventures of Tom Sawyer was written in 1876. It’s in this book that the character of Huckleberry Finn is introduced. Here’s a little sample. It’s fun to think of it in terms of Doc and Ringo. I think that Doc is implying that he’ll be Huckleberry Finn to Johnny Ringo. It’s a cute way of saying that he’s going to bring Ringo trouble. Here’s a little bit that seems to work in reference to Tombstone and certainly some of the other scenes that involve Doc. Okay so you’ve heard about the phrase hucklebearer and are wondering whether that has much to do with it. Well the phrase hucklebearer is a Southern phrase to describe a pallbearer. I don’t know any more about it and I’m not sure if it has anything to do with the film Tombstone. It seems strange to me to use the term huckleberry in the film and actually mean hucklebearer. If this is the true meaning, why not just use hucklebearer? Okay. Well if you’re not all clued up about huckleberries after all that, I don’t know how else to convince you. I’m all huckleberried out. Just to round things off though, here’s a recipe for huckleberry pie. Enjoy! Prepare pie crust. Combine eggs, sugar, salt and flour. Stir in the huckleberries. Pour into unbaked pie shell. Slowly pour whipping cream over the top, being sure to cover the entire area. Bake at 375° F for 10 minutes. Reduce heat to 350° F and bake a further 50 minutes, until filling is set. Serve hot or cold, with ice cream or whipped cream. Sounds good! Surely something that would go down well while watching a movie. I’m sure you don’t need any encouragement as to which film that would be. Thank you very much. I always wondered about that expression. Since Arthurian Times, huckleberries were given as tokens to knights by ladies. Thus, I’m your huckleberry is accepting a challenge… as in a joust… it goes back way before Mark Twain or Tombstone, for that matter. “i’ll stick with you” or “you can’t get rid of me”?? 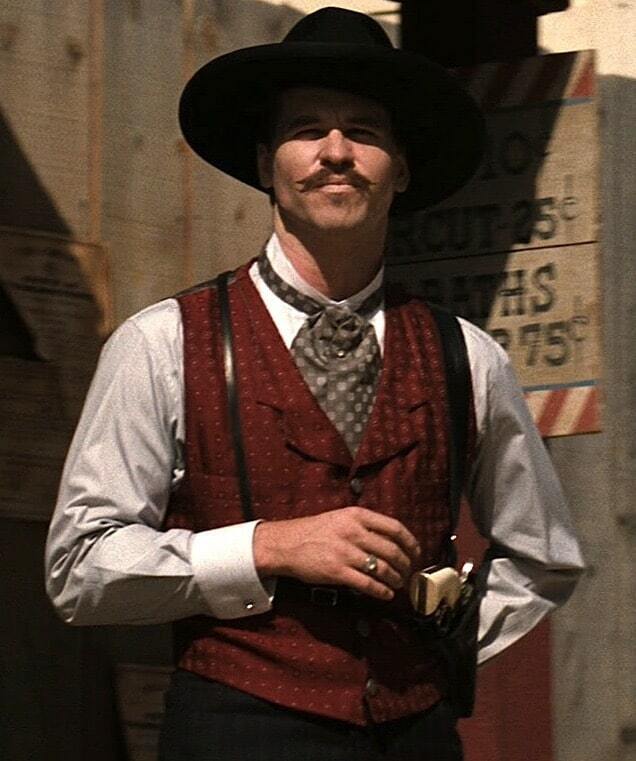 I’m a huge Tombstone fan, and think it’s the best role Val Kilmer ever played. Thank you for the explanation!! I really enjoyed it!! A hucklebearer is a paulbearer as the handles on a casket are known as huckles. So if Doc Holiday is preparing to put a man in his grave wouldn’t he in retrospect be accepting the roll as pallbearer or “hucklebearer?” Surely as an educated man he understands and surely may very well have used the term “huckleberry” in many a “game of poker” but educated as he was could he not have had the ability and motive to distinguish the two terms at such times as the moment called for either action. THE MAN KNEW WHO FREDERIC FRICKIN CHOPAN WAS!!! HE INSIGHTED SPELLING CONTESTS! HE WAS ENLIGHTENED!!! Now Val Kilmer, as the roll of Doc Holiday, speaking with the accent of a distinguished southern gentleman, if you watch Tombstone and listen closely he’s clearly saying what sounds like “hucklebearah.” To me, the accent just does not translate the word from “bearah” to “berry” just tired of the average American opinion just simply making something “the way it is.” The “be all end all” because that’s the way I like how it sounds. Why do you think the world hates us as a nation. Because of George Bush?! HE’S ONE MAN AND THAT’S PREPOSTEROUS!! OK maybe you think now I’m a die hard republican. Got news for ya, it’s not Barrack Obama’s fault either. WAKE UP AMERICA!!! YA BUNCHA SELF RIGHTIOUS GRANDIOSE IDGIOTS!!! simply just sayin. Anyway, I just put forward my two cents about things like these. I love accents and I love phraseology. I’ve tried my hardest to capture the right speech for my novels, including Doc Holliday’s Georgian drawl. I hope you’ll check them out and give them a read! You both are right! I live in Arizona. Well, I was told back then that the “Final Nail” in the coffin was called the Huckleberry. So being a Hucklebearer….is driving the final nail in the coffin known as the Huckleberry! Following that pattern it’s not difficult to imagine the transformation of hucklebearer to hucklebearah to huckleberry. Just one more possibility to consider when trying to decipher Appalachian slang in places like Kentucky, Tennessee, the Carolinas and Georgia. Wjroseberry, from what part of Eastern Kentucky do you hail? My paternal side is from Salyersville/Paintsville area. Elena, Tombstone is my favorite movie and I love the Doc quotes….thanks for the great explanations…you’re a Daisy! You’re very welcome! I love sharing. Doc also said, “I’m your huckleberry” in a book that was published decades before this movie. THAT is where it came from, not from Kevin Jarre. I don’t know anywhere else I could have found such a great insight regarding this quote. It is just what I was looking for. I want to let you know that I cited you on my website in an article I wrote about this quote myself. In particular, I referred to your points about Tom Sawyer as well as the Hucklebearer analysis. We also have a popular poll attached to that article that you and your readers may enjoy. I would love to share that fun poll with you and your audience, but I don’t want to appear like I am just droping a link. The poll provides 9 of Doc’s greatest quotes. Incidentally, “I’m Your Huckleberry” leads with 717 votes (43%). Anyway, I really enjoyed this article, and I just wanted to inform you of how you helped me provide a useful article to my audience. Thanks again. I was under the impression that huckleberry meant sucker, or rube or naive person. I thought him using that term was in a sarcastic manner to Ringo. The original conversation as reported by witnesses at the OK Corral incident state that Holliday’s adversary said to Doc ” I have got you now ! “…thus Doc replied, ” You are a daisy if you have “…. I liked my dad’s explanation. He said it was a prickle-like seed that some kid would put under your saddle before you hopped on your horse, so the horse would throw you when you hopped on. Thank you, Elena. That phrase has been gnawing at me since the movie. I assumed it was a slang from Doc’s era, but I could never find out for sure what it meant. Thanks. I´m a Tombstone and also an english language fan, and I´m always looking for differents ways of expression and phrases in slang…thank you very much for this article…cheers from Argentina…!!! Thanks for the article! I live in the South and have been eating Huckleberries since I was a child. They taste very much like a Blueberry and are used to make a wonderful pie, cobbler, or cooked with sweet dumplings. They grow wild in mixed hardwood and pine forests on a bush/shrub that usually grows to a height of around five feet. Depending on the weather, richness of the soil, and amount of rainfall as the berries develop, an average bush might only yield a pint or less of fruit. To pick enough Huckleberries to make a pie can be quite time consuming, one reason being the temptation to eat as many or more as you put in your bucket! Anyway, that is my belief. Isn’t it amazing I was able to express my opinion without slinging political “mud” in any direction, as opposed to some who seem to be somewhat lacking in that particular arena of American discourse. Thanks for allowing me to express my viewpoint. Having lived in, along with my love for, and appreciation of the nuances of the language used in the South for more than 60 years has given me the opportunity and insight to the ways in which we express ourselves in the land of Dixie! This is close to the association with “I’m the Huckleberry to your Tom Sawyer” but the Huckleberry association doesn’t really fit since Huck Finn was not Tom’s sidekick by any stretch. The similarity might be only coincidental and have nothing especially to do with Mark Twain’s characters. I am familiar with the history of the phrase “I’m your huckleberry” and simply felt in the context of the movie Doc was saying he was ‘ripe for the picking’. Sorry Mark, you’re wrong. The article is correct what the term means, but not much else. The word originated when European settlers arrived in the New World around 1670 and found several plants with small, dark-colored sweet berries. They reminded the settlers of the Hurtleberry from their place of origin. Over time it turned into Huckleberry. -a unit of measurement. It would be on a recipe card in the same way a “pinch” or “a tad” would be used today. -the quote “He was within a huckleberry of being smothered to death” is said to be from 1832. We would use something like “sliver” or “eyelash” today. 3. “It was a huckleberry over MY persimmon” meant it was too difficult or just out of reach. #3 harkens back to the self-deprication, however without the sarcasm. That phrase was used in the 1874 Biography of Davey Crockett by John SC Abbott. In 1895, when speaking of the development of Huckleberry Finn and the relationship fo the character to the name, Twain said “[his idea] was to establish that he was a boy ‘of lower extraction or degree’ than Tom Sawyer.” These are direct correlations to the idea that the Huckleberry was primarily a negative connotation. He says “huckleberry” not hucklebearah. That’s called an accent. In the rural community where I grew up, a Huckleberry was a term used to describe a generally good natured fellow who was a bit of an unintentional oaf lacking societal manners and education but a great guy to have at your side as they knew a little about a lot and were loyal. Naive, honest, a little slow, not caring for manners but was compassionately polite in their own uncultured way. “hucklebearer” is not a “thing” unless it is a mispronunciation of huckleberry. Never heard this uttered. Ever. The best, most complete and most committed to today that I have ever encountered. I became your fan. 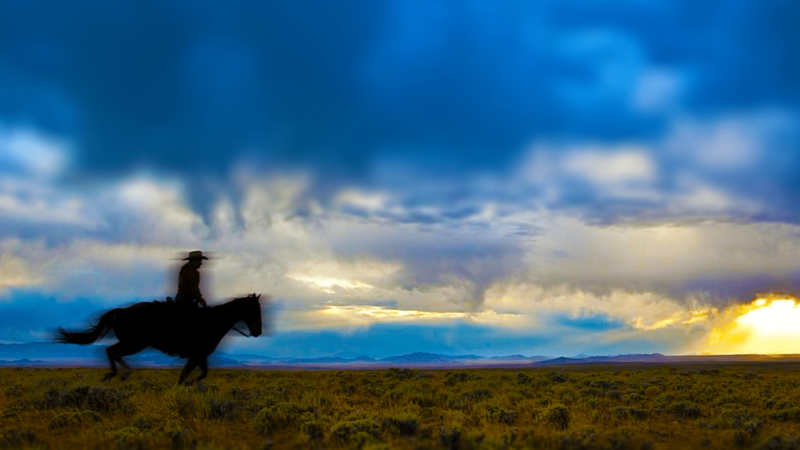 I loved the movie Tombstone the first time I watched, and it took me to the passion for culture and stories about the Old American Oste. In fact, it aroused in me an interest in American history in general. I also became an unconditional fan of Doc Holliday, a great admirer of Wyatt Earp’s life. Val Kilmer rattled the interpretation. He deserved a more than just Oscar nomination. Sensational actor. I’m meeting your blog just now. And I was very interested in your Holliday Romance. Congratulations on the blog and your work. I’ll save you here and recommend you. Huckleberry related to the days gone by of gallant Knigts.when a fair maiden selected her knight she would give them a part of a huckleberry plant. They would attach this to their lance.This would denote he his her champion. Hence huckleberry refers to being a champion. In the case of Doc Holiday he refers he is Wyatt Herps champion.